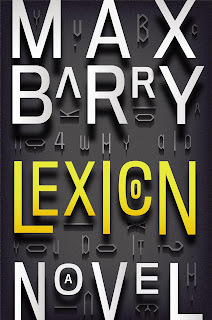 Lexicon was one of those books that grew out of seemingly nowhere; I'd heard nothing about it, then I saw it everywhere. It was on blogs I read, mentioned on the radio, featured in a podcast. And when I browsed the shelves of Politics and Prose with Rachel from Home Between Pages (Note to self: Browsing a bookstore with a fellow book blogger is bad for the budget.) and found a signed copy, it was destiny: we were meant to be together. I ended up reading the entire novel in a day. I've since recommended it to several other people, two of whom have come back and told me that they read the entire novel in a day. Lexicon is a story about the power of words. In a construction that is at first reminiscent of the recruiting scenes of X-Men, eerily talented professional something-or-others travel around the world looking for people with a certain skill. Though the details are fuzzy at first, it becomes clear that it has to do with persuasion: the ability to persuade, and the ability not to be persuaded. When these recruiters find Emily Ruff, she is taken to an elite school in northern Virginia, where she learns that every person can be categorized, and each category influenced by a different set of words. In order to remain unpersuadeable, she can never let anyone truly know her--which is all fine and dandy until she falls in love. Armed with the knowledge of the school, a fierce desire to be left to her own devices and a broken heart, Emily is a force to be reckoned with--and reckon they will. Except, all of a sudden, it's unclear who, exactly, "they" are. Who is on what side? And what are they fighting for--and against? 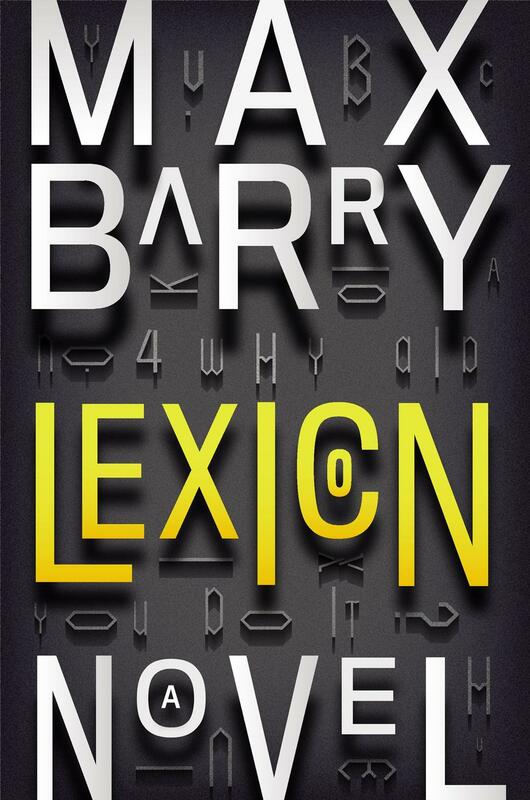 Max Barry, author of two previous novels, has created a world in Lexicon that is stunning and spellbinding, weaving a fast-paced novel that is as smart as it is action-packed. Written before Snowden's name was known across the globe, Barry's novel also raises key questions about data, privacy and identity--who is tracking what, and what trails do we leave in our virtual--and non-virtual--lives? It is a story that is at once hard to read but also impossible to put down, rushing at a breakneck pace to a thoughtful, and thought-provoking, conclusion. Don't miss this one. Just make sure you have a whole weekend free before you start it, to be safe. I just love those "read in a day" books. I haven't had one in a while and I'm sort of having withdrawals. It had been a while for me too, and felt daaaaamn good. It was actually so addictive that I had to drive my husband to the car shop to pick up his car, and I made him drive so I could read and then just sat in the parking lot for 20 minutes after he'd gotten his car and left to read the last few pages. In one day??? Oh my goodness that is always the best compliment. I have this one on my shelf next to my bed. I need to find the time! It didn't hurt that I had set aside the whole day to read anyone for the 24 in 48 readathon, but I had planned on reading lots of books, not spending all day on one. Good "problem" to have though. i recognize the cover on this book, so I'm sure it's been floating around my store, but until i read your review I didn't know the first thing about it. you're right--browsing the shelves at Politics & Prose would be dangerous at any time, but doing it with a fellow book blogger? truly budget-imperiling! So, so, so dangerous. But so fun! Such a fun book. I feel like this will be a great book to recommend for people stuck in a reading rut that need something fun to pull them out. Yes. I've already recommended it to several people. Must must must read. Looking forward to your thoughts. Your earlier mention of Lexicon hooked me and I read it immediately. Now I keep thinking of people I can recommend it to. Such an amazingly fun book! Have you read anything else by this author? Is it any good? I haven't, but he has two (I think?) other novels that I'm hoping to check out soon. So glad you liked this one too, and I know what you mean about the recommending. It's somewhat addictive. It's easy to recommend because it is such a great book. I LOVE those books that demand your attention to the point that you just HAVE to sit and finish it, no matter where you are. Added to my library list, I could use a good devour-in-a-day kind of read.